Engineered to Military and Police Tactical Standards. Precision engineered to meet the serious technical and functionaal needs of professionals everywhere, INOVA T-Series flashlights offer powerful illumination, handling responsiveness and tactical grade durability. 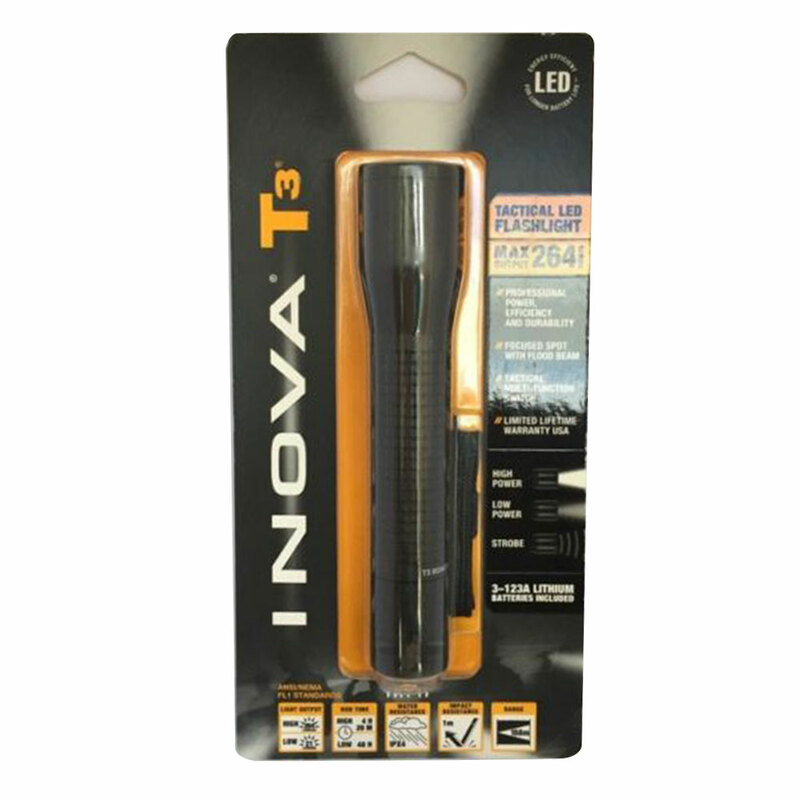 Whether military troops in the field, law enforcement officers on the streets, or security workers in the businest airports, professionals who need reliable, versatile illumination turn to the INOVA T-series flashlights. Featuring High, Low and Strobe light modes, the T3 is a powerful illumination tool. In threatening situations where product trustworthiness is crucial, the INOVA T-Series is the outright leader in its category.